In some parts of sub-Saharan Africa there is plenty of water available. The challenge is to increase the amount of available water that is ‘harvested’ for crop growth. Such water harvesting can be done at a field, farm or watershed level. In some places there is a potential for ground water extraction using boreholes. There is also a need to increase the amount of irrigation (using dams or run-of-the-river systems) from the current 6% of arable land, in a sustainable manner. In other regions, water is very scarce; approximately 70% of the world’s poor live in rural areas with little option but to rely on rain-fed agriculture to sustain their livelihoods. An estimated 200 million people in sub-Saharan African (18% of the population) face serious water shortages. Furthermore, climate change continues to pose a challenge to water management in agriculture. Most agriculture in sub-Saharan Africa is rain-fed and prolonged periods of drought are becoming increasingly frequent. This increases pressures on valuable water resources and agricultural irrigation. 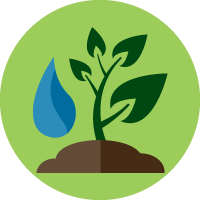 In response, water conservation policies, strategies and activities offer solutions to manage and protect fresh water as a sustainable resource and to meet current and future human demand. Practically, water harvesting involves gathering water from the ‘catchment area’ (the area around a water source where rainfall naturally collects) and channelling it to the required area. This can be accomplished in many ways such as harvesting water from an external catchment, rooftop or semi-circular bunds, but all are suitable under different conditions depending upon the environment, climate and the labour and financial resources available to the farmer. Some techniques can also work at a smaller scale to conserve water within the cropped area by reducing run-off and keeping the water where it falls as much as possible. Irrigated fields in Zimbabwe. Credit Jessie Kalsmith, Fintrac Inc.
Contour harvesting: Ploughing (turning up the earth before seeding) and furrowing (making a rut, groove, or trail in the soil), then planting along the ridges or contours rather than up and down the slope conserves water by reducing surface run-off and encouraging filtration of water into the crop area. Several water-harvesting techniques are based along contours including: contour ploughing; contour ridges; stone lines; grass strips; and terraces. Earth basins: Square or diamond shaped basins with earth ridges on all sides, earth basins can be constructed on any gradient and whilst most suitable for growing trees, they may also be used for other crops. Planting pits: Easy to construct small pits in which individual or small groups of plants are sown. The pits catch rainwater run-off and concentrate soil moisture around the roots. Drip irrigation: Drip irrigation carries water to fields through a system of plastic tubes where the water is slowly dripped onto the soil through small perforations in the tube. A small petrol pump can be used to push the water along the tubes for larger areas, but this will add a fuel cost and will need servicing. 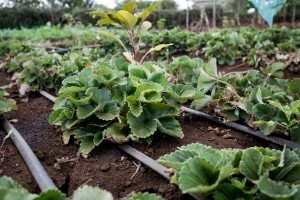 Therefore, drip irrigation is more likely to be used on smaller areas of high value crops that require regular watering. The challenge of meeting global food demand requires an increase in the level of agricultural water productivity and some increases in global water use. Finding ways of saving water or using ‘less drop per crop’ must become a mainstay of agricultural production. Suitable water conservation methods minimise negative environmental impacts of drought such as soil erosion and desertification, whilst increasing crop yields throughout the year. Soil nutrients will only be used efficiently if a crop has sufficient water and water conservation can increase the volume of water available, bridging seasonal rainfall variability. Water conservation contributes to Sustainable Intensification by allowing water to be used efficiently, resulting in higher agricultural production throughout the year and improved resilience to drought, improving farmers’ livelihoods and food security. Combining water conservation with soil testing could help farmers gain a better understanding of the soil types in a specific location and ensure that the appropriate water conservation method is implemented. For example, when water drains out of the soil, essential nutrients such as nitrogen are also washed out. This problem is greater on light sandy soils, but can be reduced by adding compost. Manures or plant residues will eventually increase the amount of water a soil can retain. Farmers can be better equipped to select the correct methods of water conservation and prevent both a loss of soil moisture and nutrients with a combined understanding of their soils. Combining water conservation with good agricultural practices can help farmers to make effective use of soil water reserves and improve soil health. Deeper rooting crops, such as grasses or cereals will exploit soil water reserves more effectively than shallower rooting crops and therefore can be grown in drier periods. Good agricultural practices such as avoiding ploughing too deeply or when the soil is wet, will also promote the efficient use of soil water reserves. Adding mulch or manure to break up the intensity of rainfall will reduce the tendency of the soil to form a crust, minimising run-off. Contour harvesting, requires a great deal of hard labour and training to build and continuous labour to maintain the structures. Apart from labour and small hand tools or hoes, no additional cost for construction equipment (such as pipes for drip irrigation) is required. Different contour methods are only applicable for certain types of crops or trees and may reduce yields due to larger spacing of trees within the contours. Whilst earth basins are simple and cheap to install on almost any slope, the level of maintenance required to keep them free of unwanted vegetation limits their use. Additionally, the system can be badly damaged if there is a storm, which requires additional labour for repairs. In an evaluation of earth basin water harvesting systems comparing their effectiveness for collecting and storing water at different scales, the efficiency of the system varied from more than 85% to as little as 7%, depending on the size of the catchment and the root zone capacity. Therefore, it is important that the location, design and the crop are properly selected, which requires training or extension services to help farmers to build the basins correctly. The low crop densities required for this method mean that farmers get a low yield in return, compared with other water conservation methods. Planting pits are labour intensive to prepare. One study found that planting pit construction required 76.5 days per hectare for the clay soils and 51.5 days per hectare for sandy soils, compared to 0.6 days per hectare under conventional tillage. 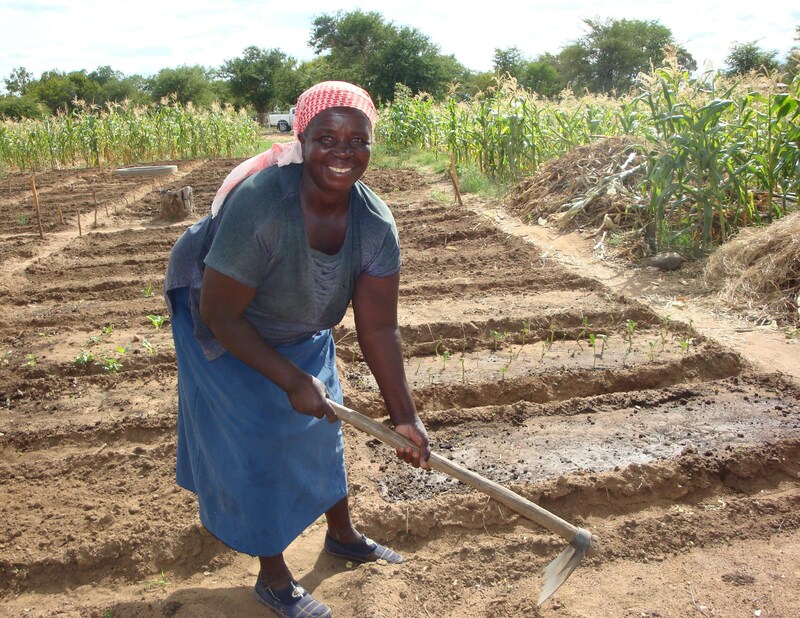 However, many smallholder farmers lack draught power – either from animal traction or machinery – so despite the initial labour, digging planting pits is often easier than ploughing. 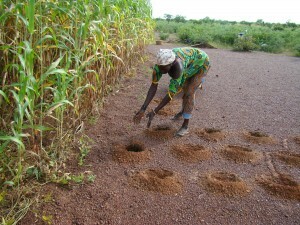 Further, pits can be dug over several months before the rainy season, spreading out the labour requirements over time. Once the pits are dug, they need to be restored for the next planting season. Weeding in planting pits requires 40% more labour compared with conventional tillage (12 human days per hectare due to high weed densities). Drip irrigation may be laborious to set up and initial costs for equipment may be high for smallholder farmers, yet the systems are comparatively cheap, efficient and simple to use compared to large-scale irrigation. 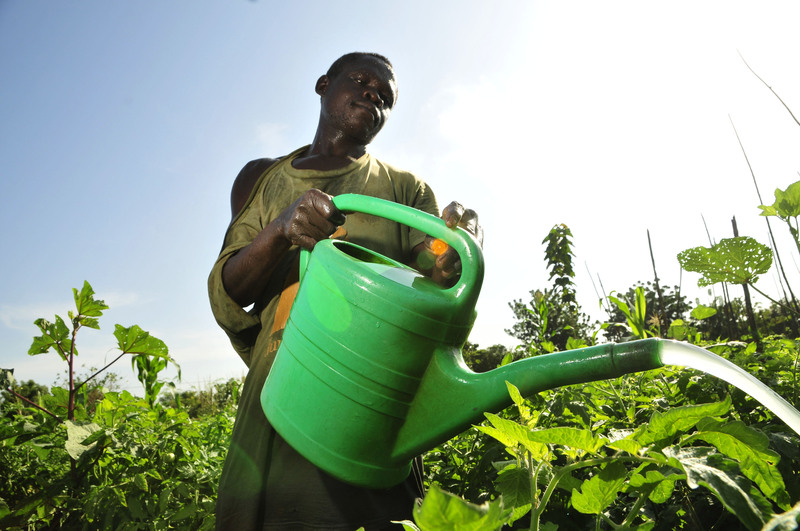 A drip irrigation system costs an estimated US$1,565 compared to US$924 for a watering can-based system (otherwise known as a ‘bucket drip kit’). Whilst expensive, a comparison study between drip irrigation and hand-watering of aubergines in Niger found that drip irrigation reduced labour-hours from 4.7 to 1.1 per day per 500m2 of farmed land. Where labour accounted for 45% of the cost of food production when irrigated by hand, the value per m2 of aubergine crop increased from US$0.1 to US$1.7 with drip irrigation. With a drip irrigation system, water is also saved; for each cubic metre of water applied, 7.3kg of aubergine was obtained using drip irrigation, as opposed to 2.4kg using hand watering. Based on these calculations, an average of 25% less water can be used. Drip-irrigation systems also face risks. The sun can damage the tubes and shorten their usable life. The system should include a simple wire mesh filter between the storage tank and the drip irrigation pipes that requires regular cleaning as it may get clogged up with algae. Without sufficient leaching of water onto the soil, salts applied with the irrigation water may build up in the root zone. To avoid these pitfalls, support should be made available to farmers after implementation. A study in Zimbabwe by the International Crop Research Institute for Semi-Arid Tropics (ICRISAT) found that 60% of households reported that they needed additional advice after implementation, despite that more than 90% of households received basic training. Awareness of water conservation methods and their benefits is low. Numerous farmers are not reached by agricultural extension services or those services do not always address methods for rainwater conservation. Further, national policies generally do not provide sufficient incentives—such as land rights—to encourage farmers to invest in improved land and water management. Scaling-up outreach and extension services for locally designed water conservation plans would help to increase the uptake of water conservation measures in remote rural areas. You, L, Ringer, C, Nelson, G, Wood-Sichra, U, Robertson, R, Wood, S, Guo, Z & Sun, Y 2010, What Is the Irrigation Potential for Africa? A Combined Biophysical and Socioeconomic Approach, International Food Policy Research Institute (IFPRI), Washington, D.C.
 Bulcock, LM & Jewitt, GPW 2013, ‘Key physical characteristics used to assess water-harvesting suitability’ Physics and Chemistry of the Earth vol. 66 pp. 89–100. Siegert, K 1994, ‘Introduction to water harvesting: some basic principles for planning, design, and monitoring’ in Water Harvesting for Improved Agricultural Production; Proceedings of the FAO Expert Consultation. Cairo, Egypt, 21-25 November 1993 FAO, Rome, pp. 9–23. Henry Doubleday Research Association (HDRA), 2009, Water Harvesting and Conservation, HDRA International Development Programme, Coventry. Agriculture for Impact 2014, No Ordinary Matter: conserving, restoring and enhancing Africa’s soils. A Montpellier Panel Report, London. Rockstrom, J, Barron, J & Fox, P 2002, ‘Rainwater management for increased productivity among small-holder farmers in drought prone environments’ Physics and Chemistry of the Earth, Parts A/B/C vol. 27, nos. 11–22, pp. 949–959. Taddele Dile, Y, Karlberg, L, Temesgen, M & Rockstrom, J 2013, ‘The role of water harvesting to achieve sustainable agricultural intensification and resilience against water related shocks in sub-Saharan Africa Agriculture’ Agriculture, Ecosystems and Environment vol. 181, pp. 69–79. Oweis, TY & Taimeh, AY 1996, ‘Evaluation of small basin water harvesting systems in the arid region of Jordan’ Water Resources Management vol. 10, no. 1, pp.21-34. Prinz, D. 1996. ‘Water Harvesting: Past and Future’ in Sustainability of Irrigated Agriculture eds LS Pereira, RA Feddes, JR Gilley & B Lesaffre. NATO ASI Series, vol. 312, Springer Netherlands, Rotterdam pp. 137-168. Rusinamhodzi, L 2015, ‘Tinkering on the periphery: Labour burden not crop productivity increased under no-till planting basins on smallholder farms in Murehwa district, Zimbabwe’ Field Crops Research vol. 170, pp. 66–75. Twomlow SJ, Steyn, JT, du Preez, CC 2006, ‘Dryland Farming in Southern Africa’ in Dryland Agriculture eds GA Peterson, PW Unger, WA Payne, American Society of Agronom, Madison, pp. 769-836. Woltering, L, Ibrahim, A, Pasternak, D & Ndjeunga, J 2011, ‘The economics of low pressure drip irrigation and hand watering for vegetable production in the Sahel’ Agricultural Water Management vol. 99, no. 1, pp. 67–73. Belder, P, Rohrback, D, Twomlow, S & Senzanje, A 2007 Can Drip Irrigation Improve Food Security for Vulnerable Households in Zimbabwe? Briefing Note No. 7. International Crops Research Institute for the Semi-Arid Tropics (ICRISAT), Bulawayo. Winterbottom, R, Reij, C, Garrity, D, Glover, J, Hellamus, D, McGahuey, M & Scherr, S 2013, Improving Land and Water Management: Installment 4 of “Creating a Sustainable Food Future”, Working Paper,World Resources Institute, Washington, D.C. The Maiuni Self Help Group was formed in Kithuiya village, Kiambwa, Kenya in 2011 with 46 members, 33 of whom are women. They embarked on a project with Africa Sand Dam Foundation (ASDF) and The Water Project to build a sand dam and a hand dug shallow well. This was in response to increased pressure on the water supply from a growing population and a drying of the local climate. 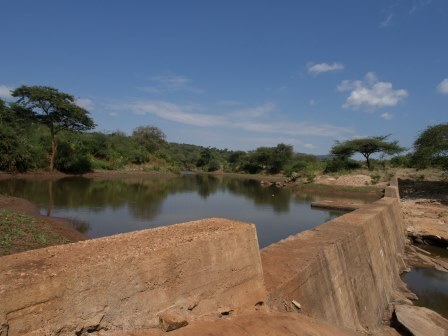 The main source of water for the village is the River Ngwani which dries up between August and October. Before the sand dam was built, during the dry periods people typically dug deep scoop holes, averaging 1.5 meters deep, and queues at these scoop holes meant waits of over 4 hours per day to collect water, often of poor quality. The time spent collecting water severely limited the farmers’ ability to engage in other agricultural or economic activities. The Maiuni group built their sand dam using technical advice and assistance from ASDF field officers. Some materials were provided by ASDF, while others were sourced locally. The sand dam is a concrete wall built across the seasonal riverbed that captures and stores water beneath the sand. The sand reduces evaporation and filters out parasites such as mosquitos in the water, making it cleaner and safer. Water is then abstracted through the shallow well. Africa Sand Dam Foundation, n.d., Sand dams. Available from: http://www.asdfafrica.org/what-we-do/sand-dams [Accessed 15 Jan. 2016]. Extreme droughts leading to the failure of agricultural systems from 1968-1973 caused a human and environmental crisis in Burkina Faso. Between 1975 and 1985, some villages lost one-quarter of their population as people migrated to areas with higher rainfall. Many wells dried up and the average yield of sorghum and millet dropped from between 0.5-1 tonne per hectare to 300kg per hectare, resulting in an annual food deficit of 50% for most households. In the 1980’s farmers began experimenting with farming methods to reclaim severely degraded land that water could not penetrate. They developed variations of the Zai practice (digging a grid of planting pits), increasing the depth and diameter of the pits and adding organic matter. The pits were prepared in the dry season, enabling early planting for increased yields. Although very labour intensive to construct, by 2001 more than 100,000ha of degraded land was rehabilitated by farmers, with current estimates of the total rehabilitated land at 200,000-300,000ha. Villages with a long history of soil and water conservation rehabilitated an estimated 72-94% of their agricultural lands. Cereal production is estimated to have increased by an average of 400kg per hectare per year, translating into an annual increase of 80,000 tonnes of grain. Zai planting pits have shown a greater impact when combined with stone bunds or other water conservation methods, and the effects were also synergistic with adding manure. Households that had suffered food shortages of 6 months or more were able to reduce their deficit periods to 2-3 months, or 0 months in some cases. The whole movement improved food security for 3 million households. Somé, L, Jalloh, A, Zougmoré, R, Nelson, GC & Thomas, TS 2011. ‘Burkina Faso’ Ch.4 in West African agriculture and climate change: A comprehensive analysis eds A Jalloh, GC Nelson, TS Thomas, R Zougmoré & H Roy-Macauley. International Food Policy Research Institute (IFPRI) Research Monograph, Washington, D.C. pp. 79-111. Garrity DP, Akinnifesi, FK, Ajayi, OC, Weldesemayat, SG, Mowo, JG, Kalinganire, A, Larwanou, M & Bayala, J 2010, ‘Evergreen Agriculture: A robust approach to sustainable food security in Africa’ Food Security vol. 2, no. 3, pp. 197-214. Reij, C, Tappan, G & Smale, M 2009 ‘Re-Greening the Sahel Farmer-led innovation in Burkina Faso and Niger’ Ch. 7 in Millions Fed: Proven Successes in Agricultural Development, eds DJ Spielman & R Pandya-Lorch, International Food Policy Research Institute, Washington, D.C. pp.53-58. Kenya suffers from unreliable rainfall leading to drought conditions subsequently increasing household vulnerability to food insecurity, especially when alternative risk management or coping strategies are unavailable or ineffective. Until recently, Kenyan smallholders, who are mostly women, use hand-watering to cultivate vegetables for their families. The practice of hand-watering is tedious and inefficient especially where water is scarce. 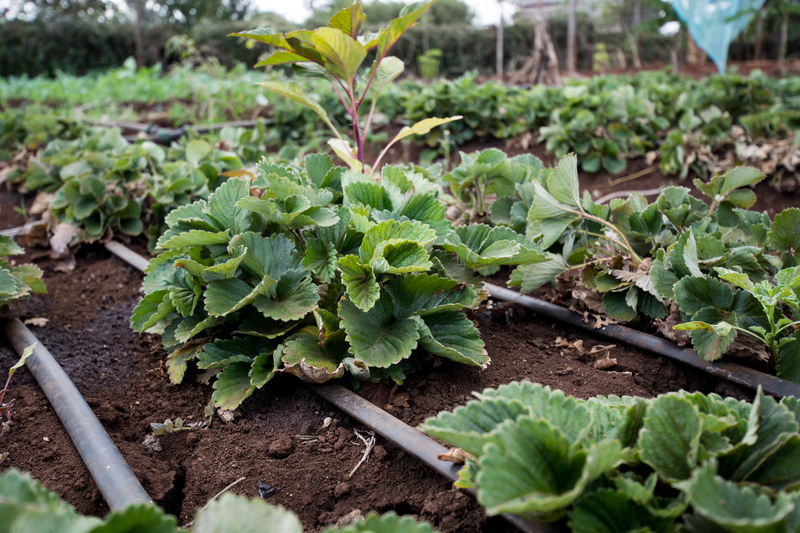 To improve productivity, the Kenya Agricultural Research Institute (KARI) introduced drip irrigation technologies. Bucket drip kits help deliver water to crops effectively with far less effort than hand-watering and for a minimum cost compared to irrigation. Use of the drip kit is spreading rapidly in Kenya and the majority of drip users, 70- 80%, are women. Drip kits do have some disadvantages but there are also many positive socioeconomic impacts. Farmers reported profits of Ksh4,000-10,000 (US$80-200) with a single bucket kit, depending on the type of vegetable and between Ksh20,000-30,000 (US$400-600) per season with the one-eighth of an acre kit. Mrs. Mutai is 1 of 150 women who are members of a group that started using drip irrigation in Eldoret. Four months after installation, she sold enough vegetables to invest in more lines and make her garden bigger. Another member, Anne Butia, sold Ksh10,000 (US$200) worth of vegetables in 3 months from her garden. She used the extra income to pay for school fees and buy clothes for her family. Ngigi, SN, Thome, JN, Waweru, DW & Blank, HG 2001, Low-cost irrigation for poverty reduction An evaluation of low-head drip irrigation technologies in Kenya International Water Management Institute, Nairobi.